It feels like such a lot has happened since I launched My Chronicle Book Box, only a few month ago, and in that short period we have made huge strides improving our website to ensure the best experience for our subscribers. I believe the changes made , although a huge amount of investment at this early stage of my new venture, will prove popular, and enable lots of new exciting features to be added as we grow. I have really thought about how my existing and new subscribers browse my shop, to make it as familiar and intuitive as possible. Using my own experiences as a prolific online shopper myself, the new format with familiar product page, shopping cart, and the all important checkout area have had a major overhaul with great functionality added. This is all within the My Chronicle Book Box website, securely encrypted, to ensure all your information remains private. You can see this by clicking on the green padlock in the address bar of your browser. 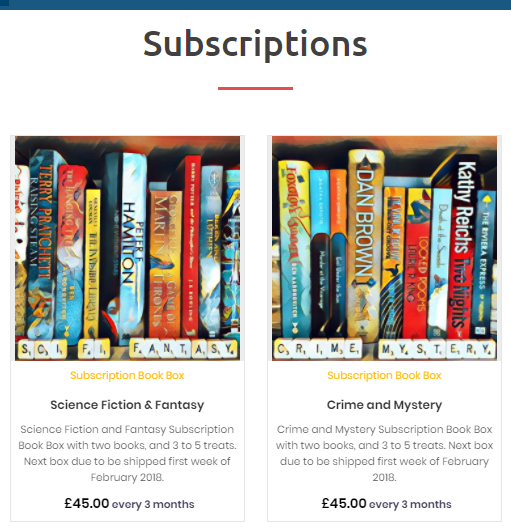 Product pages for Crime & Mystery Book Subscription Box, and Science Fiction & Fantasy Book Subscription Box, with an area for your review comments and star rating. For our UK subscribers, shipping is free, but we also ship internationally, with the extra courier costs added to your subscription. This will be calculated when you checkout, but can also be calculated from the cart page, by using the "Calculate shipping" button. Add Coupon Codes in the cart page and final checkout page. Why not sign up to our newsletter and get a '5% off your first box' coupon code? 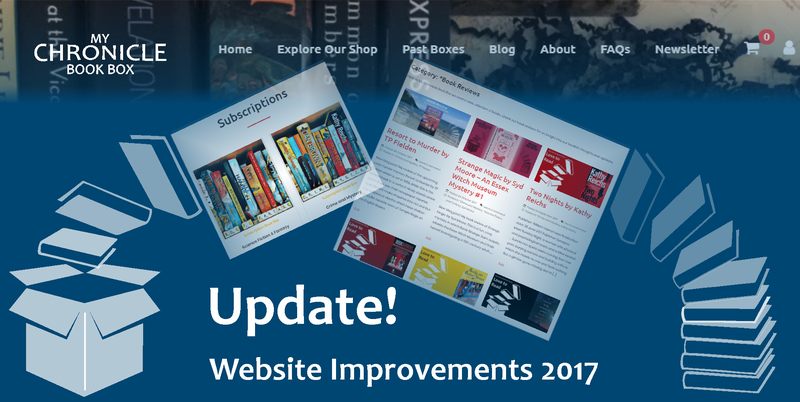 I have updated our blog using the popular WordPress platform for all my Book Reviews, News and Updates, and Past Boxes. 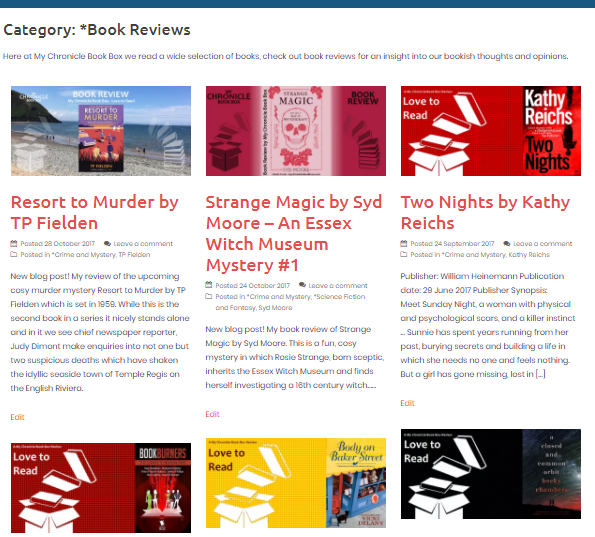 I really love how easy it is for me to share my reviews of some the fantastic books I have read by these genres, Crime and Mystery, and Science Fiction and Fantasy. If you are one of my followers from The Bookasaurus Blog, I have now been able to move all my book reviews to one location to make it really easy for you all to find all my reviews. The category drop down box on most pages, is also really useful if you want to browse by author. My Chronicle Book Box was launched using the Subbly platform, a great way for me to get up and running, but following the great response I have had, I decided a dedicated service, just for My Chronicle Book Box subscribers would give the best possible service, and flexibility for future improvements. 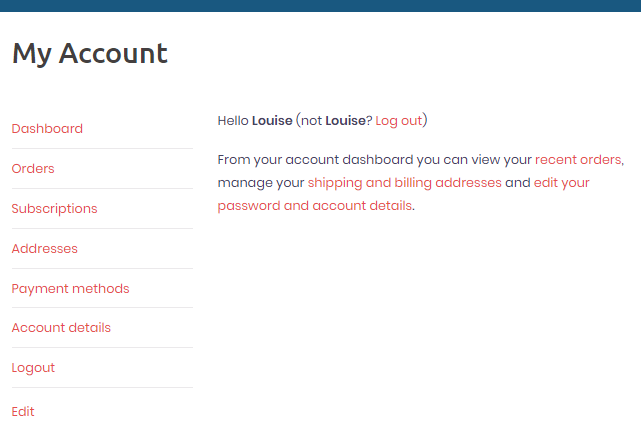 From the "My Account" screen you have all the options you need to manage every detail of your subscription, from address details, and payment details, to your subscription options. And of course, in the extremely unlikely event you want to cancel or pause your subscription, you can do this at any time from your account.